What makes people want to do business with you? It’s something we all grapple with as business owners. And we’re constantly bombarded with messages from other people. Those adverts that pop up on Facebook from the ‘guru’ or ‘maven’ (what is one of those?) who tells you how they were struggling but then they found this magic formula and now they earn ??? and you can too. Blah blah blah. I’m going to tell you a little tale I heard during storytime at my local library. I take my toddler there most weeks for a session where the librarian reads picture books out to the kids and then they get to do colouring. This story caught my attention. 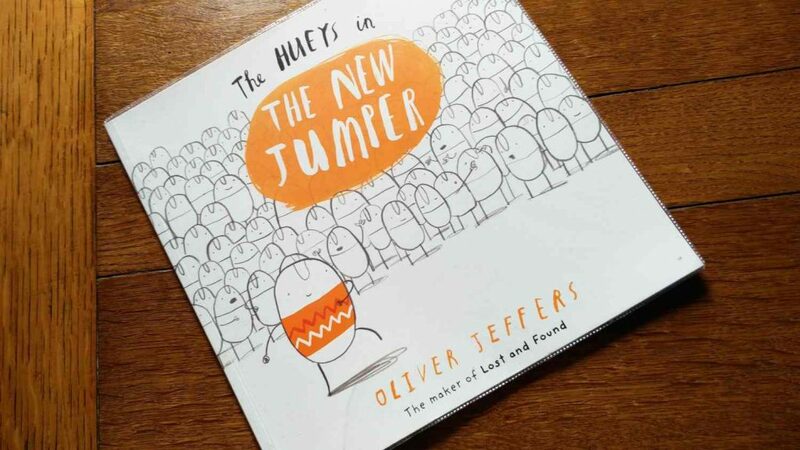 It’s by one of my favourite authors Oliver Jeffers. If you haven’t come across him, he has a brilliant take on the world. It’s whacky and insightful at the same time. The book they read to us was The Hueys in The New Jumper. The Hueys are all the same. They are identical. They believe everyone should fit in. No-one does anything differently. But then one of them puts on a jumper. The Hueys are shocked! However one of his friends is quite taken with the idea so they knit a jumper too. You can guess what happens. Yes. Everyone ends up looking the same. Again. It can be hard to make your brand stand out. But just because something works for someone else doesn’t mean it will work for you. If everyone follows the latest shiny new trend you won’t stand out. You’ll just look the same. will my customers like this? how much time do I need to commit to it each week? do I have a plan for how to make use of it? how does it fit with my business goals? There are many things that make your business different from the others. One of the main ones is likely to be you and your way of doing things. Be yourself. Let people get to know you. Creating meaningful relationships is far more valuable than trying to copy the cool kids.